When it’s hard to stay productive, Interior Concepts can help! Our computer tables are specifically designed to oust annoyances that distract you from being on top of your productive game. 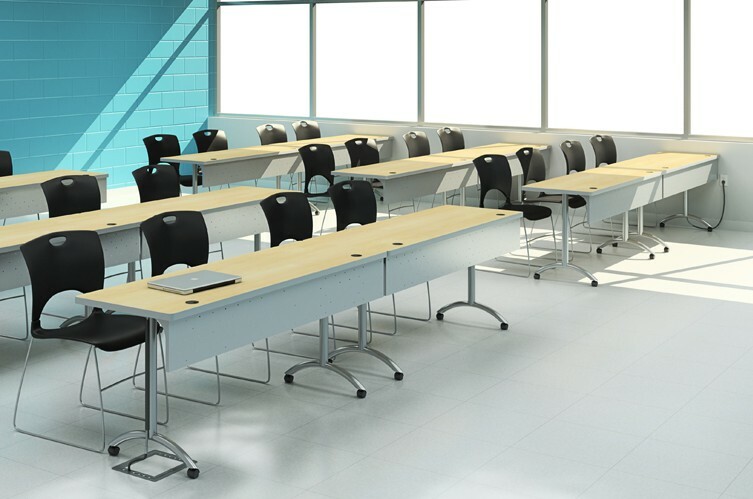 Designed with our Connect2 power solution, the computer tables are easy to specify, install, and reconfigure when necessary. Do messy tables with tangled cords lying about distract you from what’s on your screen? 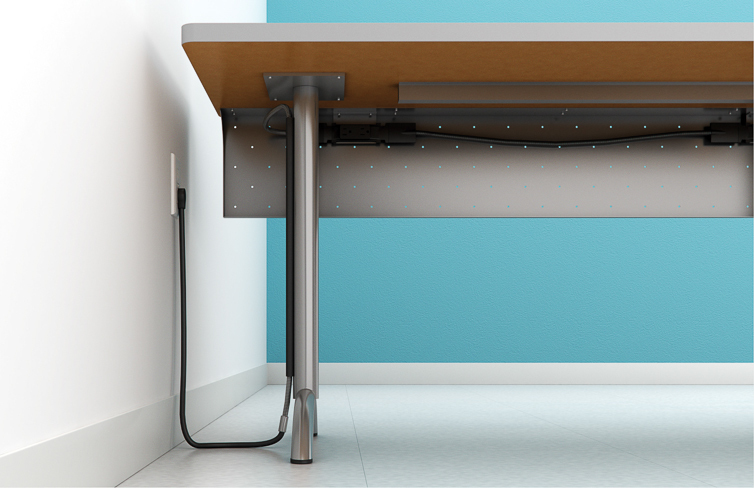 Interior Concepts’ computer tables are designed with under-the-work-surface cable troughs and modesty panels that channel cords discreetly and out-of-sight from table to table. 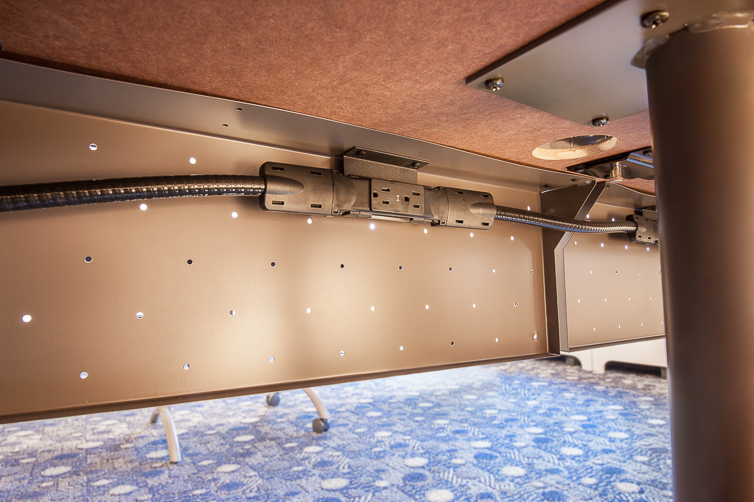 You can connect up to six tables per power plug, which won’t leave you scrambling to find more power outlets. 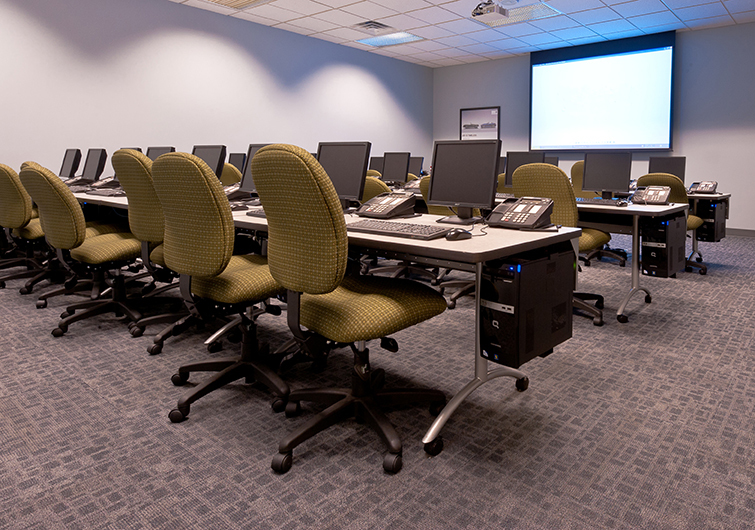 These computer tables do not require hard wiring to the building’s power, and each comes standard with a 15 or 20 AMP plug. Is size a concern for you? Interior Concepts’ computer tables come in a wide array of sizes. 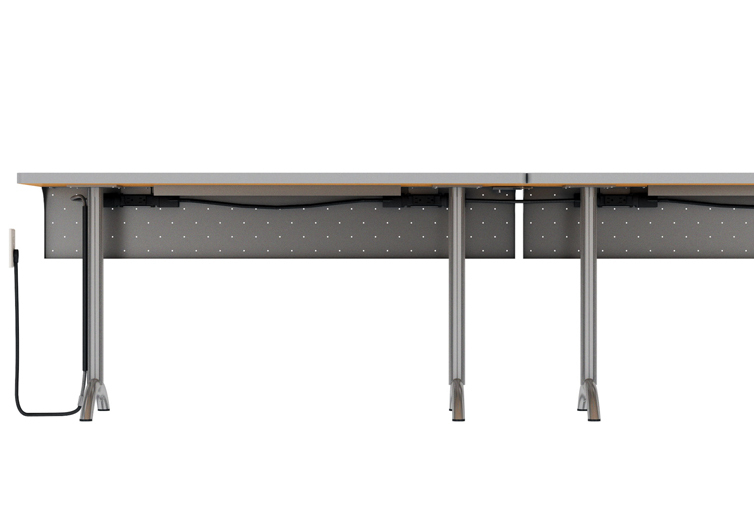 From cubicle sized 24 inches to a full workstation of 96 inches, our computer tables come in 6 inch increments and are sure to fit your specific needs, however big your space may be. Download our table brochure to see all of the sizes and options. Plug-N-Play. That’s our motto for the computer tables we designed, with you specifically in mind. We believe that the best workstation is one that is not distracting, one that just works without hindrances. Interior Concepts’ computer tables. Tested and proven to withstand the highest level of productivity.